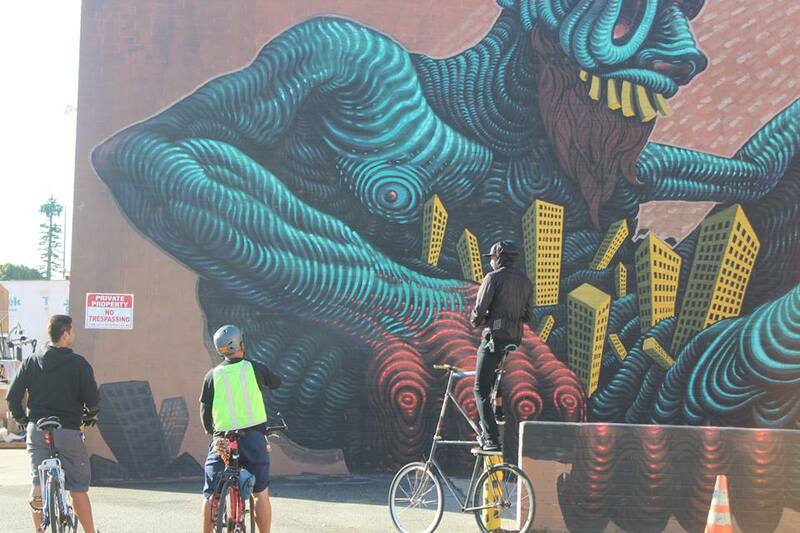 During this tour, we will talk about the Los Angeles Art Scene, Street Art, Historic murals, Architecture and History. The tour takes you through hidden places off the regular path to see Art pieces. We share historic facts and tales of graffiti wars, or 'beef' between crews and artists as well as the evolution of graffiti. 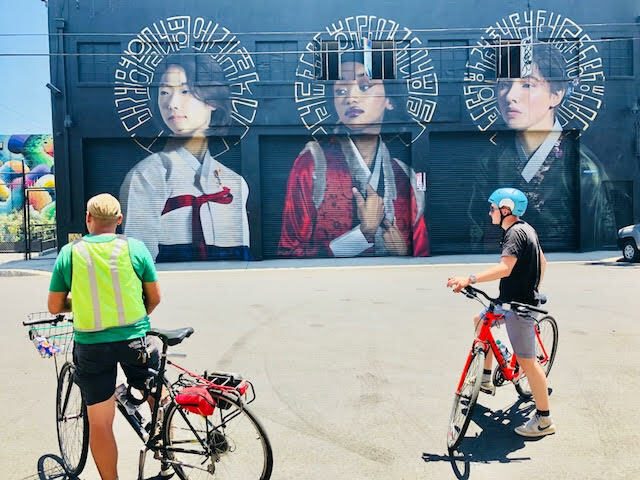 You can expect to ride through; graffiti dens, alleys, parking lots, side streets, construction zones, industrial areas and upscale South Park Neighborhoods. This tour makes several stops to allow you to take pictures and visit local businesses to immerse yourself in the community and the city’s underground art scene. If we're lucky, we may also run into Artists working on mural projects or production companies filming in the graffiti filled streets. We'll touch on building architecture and view historic and new buildings while discussing the area's development.